An episodic historical adventure, released on August 15th 2017. Asst. Creative Lead, Game Design, Narrative Design, Writing. A fantasy point-and-click adventure, released May 28th 2013. A zombie survival RPG released July 14th, 2016. Survive the zombie apocalypse with a “Final Fantasy” turn-based combat and permanent death! Manage survivors, craft materials, and make difficult decisions. Defend your camp against hordes of the undead to prevail in this non-linear rogue-lite (comparable to FTL). Innovative Indie Survival-RPG!" Concept Art, 2D Art, 3D Modeling, Texturing. A non-fiction eBook published October 30th 2016. Video games have often been regarded as power fantasies. Yet the recent popularity of games that prominently feature disempowerment (e.g. survival games) may show us that this perspective limits our understanding of the medium. 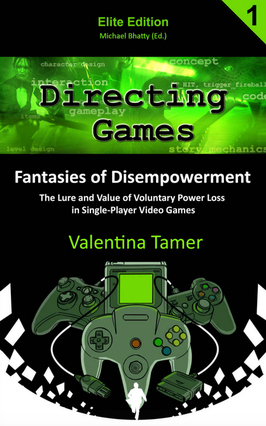 This book is a collection of purposefully disempowering mechanisms used in video games and analyses the reasons why players might be drawn to this experience. 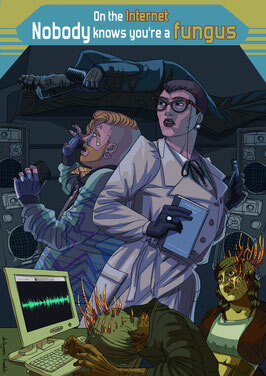 A horror sci-fi radio play aired on January 19th & 21st 2014, on Antenne Düsseldorf.Synthetic sounds from strange websites are the newest trend among music lovers. A linguist, a foley artist and a suave radio host try to get to the bottom of the phenomenon and reveal something unexpected. Author, Producer, Voice Actor & Post-Production.